At AppFolio, our team members are the ones responsible for making the company such an amazing, intellectually challenging, and ever-changing place to work. The following is an interview of Will Reynolds, Sales Director at AppFolio and responsible for sales of SecureDocs. I'm originally from the UK, I met my wife there, she is from California, and easily convinced me to move to the US in 2005. I spent 3 years at Citrix Online, in Santa Barbara, managing a team selling the GoTo line of products. In 2008, I joined AppFolio. AppFolio's VP of Market Development, Albert Oaten, hired me at Citrix and, fortunately, saw a fit to hire me at AppFolio. There were 13 or 14 employees before me; the office was small and quiet in the early days. I remember my desk on my first day. I was sitting at a table with Brian, our CEO, Jon, our CTO and Klaus, our founder. AppFolio Property Manager had not launched yet. So we had nothing to sell, but I was the sales guy. It was interesting! After dropping my kids at kindergarten, I head to the office. I travel regularly, and spend several days a month traveling around Southern California. We have business all over the country, so I am often on the east coast. Most of my day involves client interaction, trying to solve their problems or their business objectives. I also conduct SecureDocs demonstrations. Since the product is simple to use, these don't take long. The rest of my day is filled with networking, looking for new clients, team meetings, strategy discussions, and product updates. I go running at lunchtime two or three days a week. Mainly because we ALWAYS seem to have a lot of cookies and candy around the office, so it would be bad if I didn't. As Director of Sales, what are clients telling you are the best aspects and biggest differentiators of SecureDocs to other products on the market? In both situations they have very little time to get on-boarded or to learn how to use a virtual data room. SecureDocs is a great fit since it is a 15 minute set up and simple to learn. It reduces inertia for those needing their business affairs quickly organized and secured. Ease of use, low flat rate pricing, and our security measures are the other biggest differentiators. 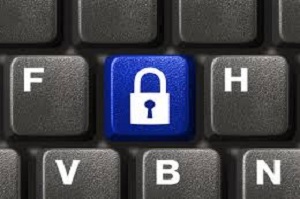 Security is critical, particularly for those who have sensitive information, such as Intellectual Property, to protect. How do you keep close to your customers and continually keep on top of their evolving product needs? There is no short answer. It's somewhat of a process that comes from multiple touch points such as calling, visiting in person, emailing, tweeting and blogging. The central theme is listening to the business problems and strategizing around whether we're the best fit. If so, then understanding how their clients or development resources will be impacted. We also provide easy channels for clients to send us feedback. We encourage them to do so, and then everyone at SecureDocs reads the suggestions. We have a great Product Management team. Listening to the client and understanding their problems is a daily routine. Development goes hand in hand with usability testing and client feedback. What's the funniest experience you've had at AppFolio through the years? We have a great team with a great sense of humor. I have a complete photographic record of our C-level leadership team in outfits ranging from Captain America to Batwoman and the Bee Gees. I'm not sure which was the funniest, or the most disturbing, but they've certainly given us plenty of laughs over the years. My colleagues need not worry; the pictures are locked down in my SecureDocs account. As our clients will attest, there is no safer place to keep sensitive or proprietary information. What does the future look like for SecureDocs? The future is bright. Document and data security is a growing topic. There is rarely a day that goes by where there isn’t a story about a missing, misplaced or misappropriated piece of data. The number of companies using a dedicated data room or document repository solution is low, many choosing to use consumer file sharing or email. Then confessing to sleepless nights about the security. We provide a compelling solution for those who manage their documentation in-house. SecureDocs requires only an Internet connection and browser, no servers, no tricky software, no firewall configuration. Finally, our pricing model can be compelling, especially in comparison to existing solutions, data security and the value of our client’s time.